Extraspace Solutions were contracted by Acanthus LW Architects to design and build a 162m2 steel-framed modular extension within St Marys Pre-School, Kent. The project also involved the refurbishment of an existing traditional built building with associated ground works. The client’s brief asked Extraspace Solutions to provide an aesthetically pleasing, sustainable, high quality and accessible building for children in a pre-school environment. 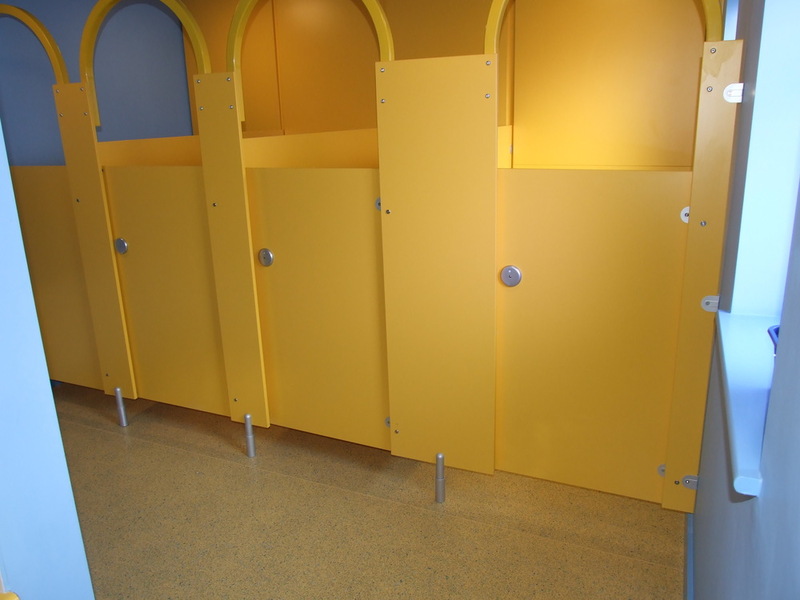 This request was met by the incorporation of blue trespa panelling externally, infant range toilet cubicles and vanity units, a separate quiet/special needs room, internal activity room with sliding partition and access to an enclosed external activity space. The building was inspected and passed by both Dartford Borough Council Building Control Department and Ofsted (Office for Standards in Education, Children’s Services and Skills) which regulates the standard and presentation of education accommodation.